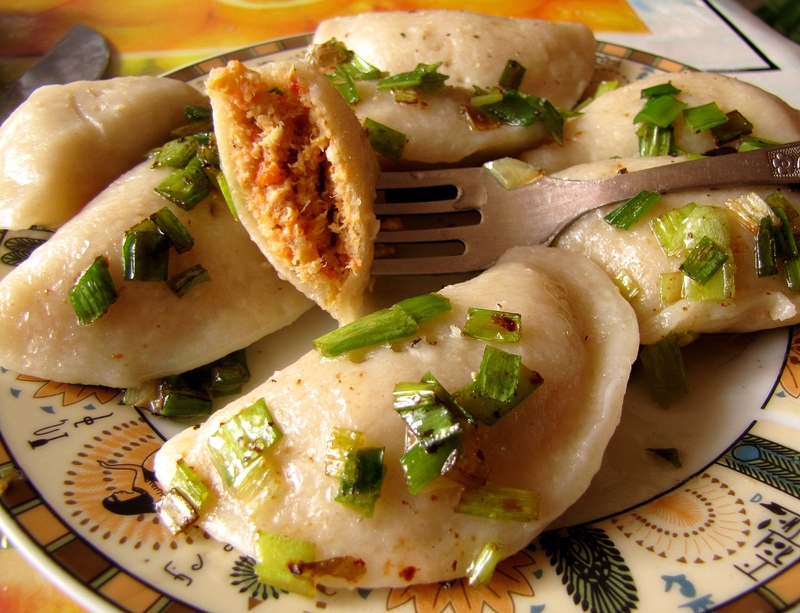 Polish foods include kiełbasa, pierogi (filled with meat, potatoes, cabbage, cheese or holiday fruits), pyzy (meat-filled dough balls), kopytka, gołąbki (meat and rice stuffed cabbage), śledzie (herring), bigos, schabowy, Oscypek, and much more. Traditionally, food such as soups flaki, rosół, zupa ogórkowa, zupa grzybowa (mushroom soup), żurek, zupa pomidorowa (tomato soup) have been prepared in large vessels intended for groups, often necessitating the use of devices such as oars in their preparation. Traditionally, hospitality is very important. In the Middle Ages, as the cities of Poland grew larger in size and the food markets developed, the culinary exchange of ideas progressed & people got acquainted with new dishes and recipes. Some regions became well known for the type of sausage they made and many sausages of today still carry those original names. The peasants acknowledged their honorable judgment, allowing them to maintain nourished for longer periods of time.